Blonde Hair on A Budget! This is me before and after dying my hair...I realise the picture on the left is a little scary, ha ha! Just a sidenote: Before you read this blog post, you may want to make yourselves a cup of tea and/or make yourselves comfortable because this is going to be a long one! Or alternatively, watch the video tutorial here! Sorry, I know this isn't a great close-up but you get the general idea. This was me before I started colouring my hair, age 19. I really don't recommend you dye your hair too young, otherwise you will likely regret it as it is damaging, as I'm sure you all know. Unfortunately, we can't all afford to get our hair done at the salon but it's difficult to know which box dyes are the best, which are true to colour and which ones will work for you. 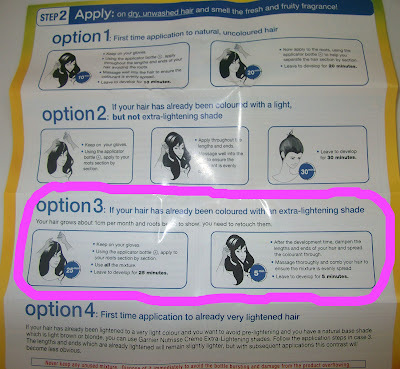 I can only speak for myself, so hopefully if you have a similar hair colour to mine this will help you! I personally know that I can't afford to fork out €160 every 2 months to get my hair done, so I use an at-home box dye that you can get at the supermarket or drugstore. 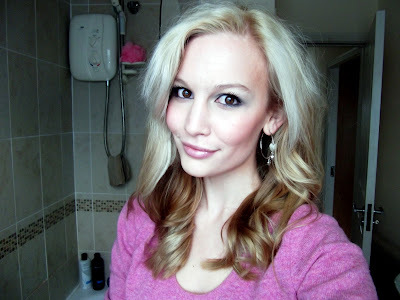 I have tried and tested a few different light blonde dyes and this is by far the best for me! 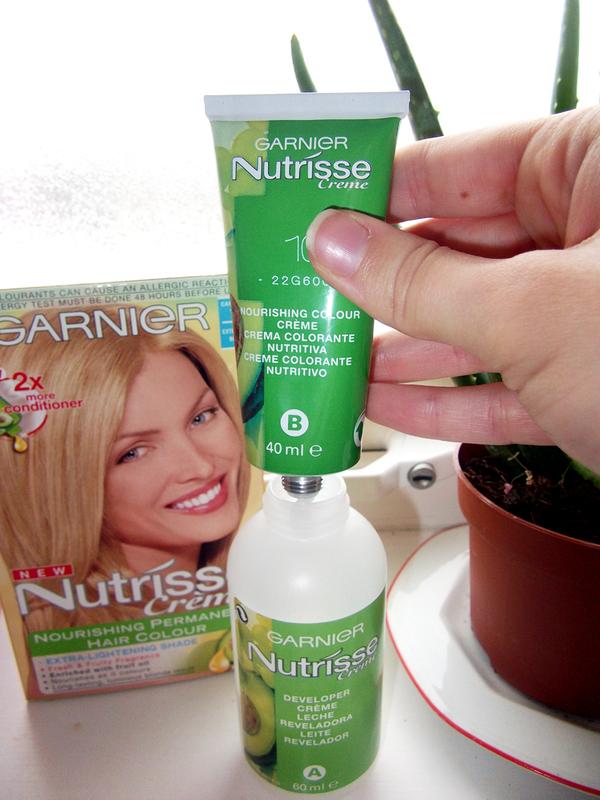 It is of course, Garnier Nutrisse Creme in #10 Camomile (Extra Light Blonde). 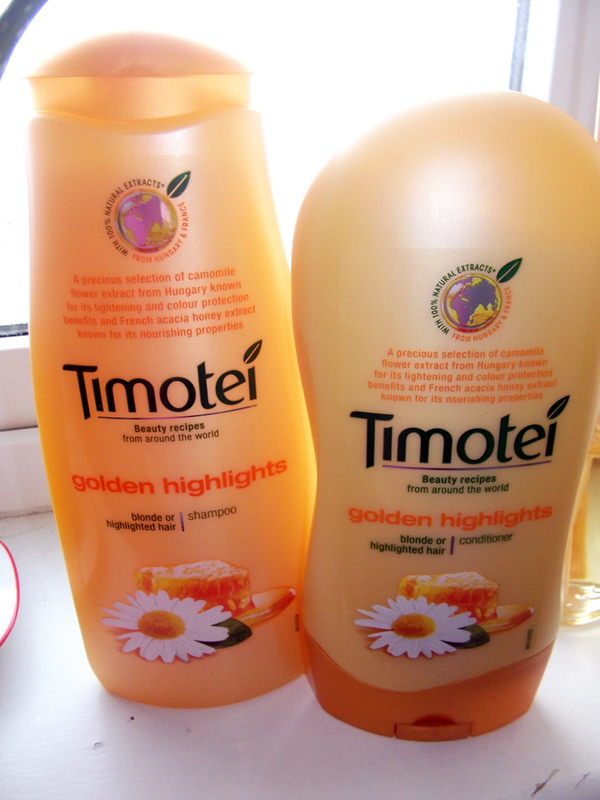 I use this around every 2 months, to touch up my roots and give my colour a lift. 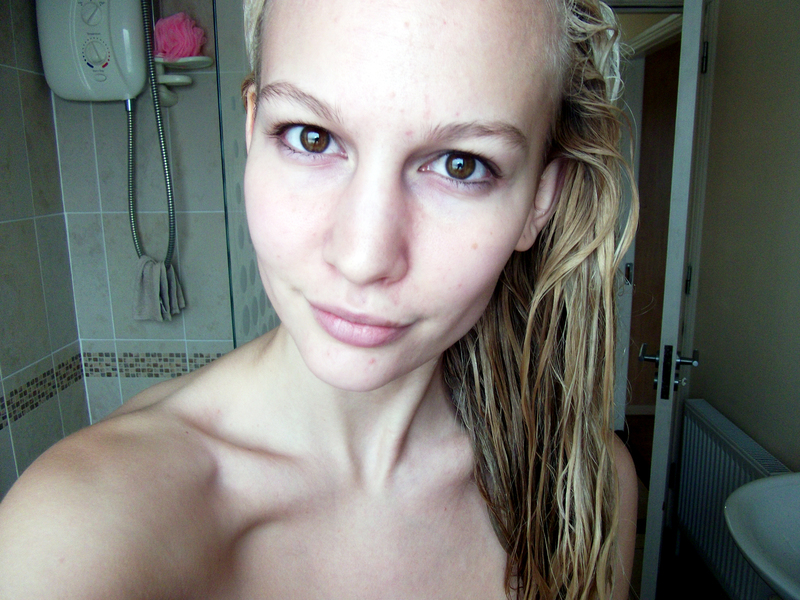 Always start off with dry, unwashed hair. 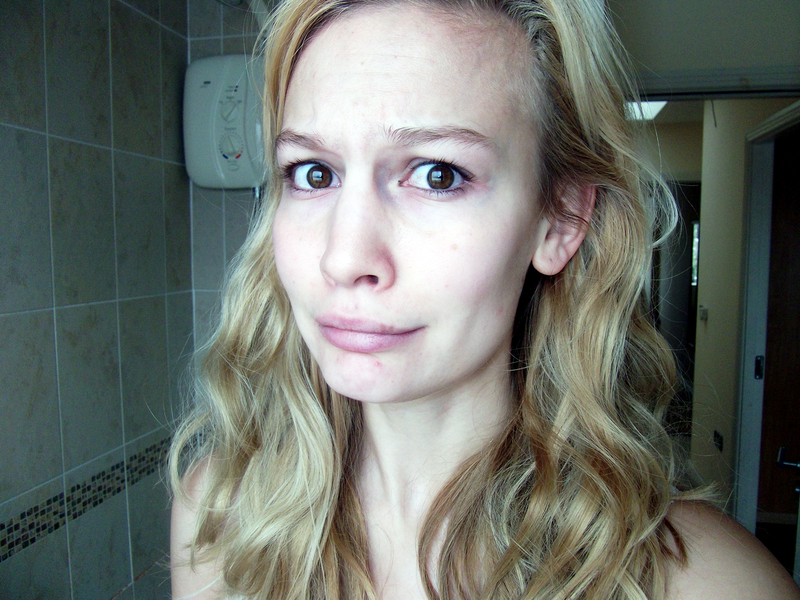 Here are some terrifying pictures of what I looked like this morning, pre-colouring! Onto step 1, which is to mix the solution together. 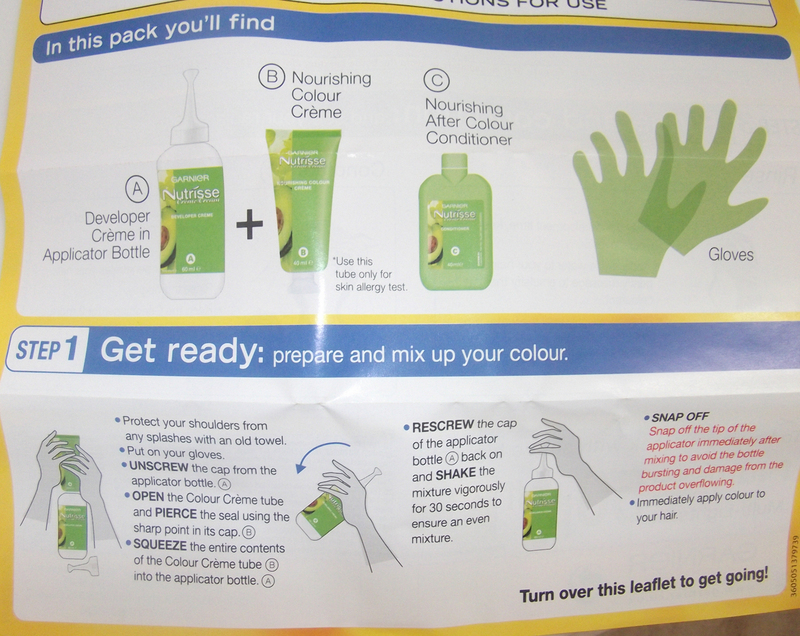 The instructions are pretty clear, but in case you're lazy and don't like to read, you basically pour all the contents of B into A and shake well. Now it's time to put on your gloves! Apply the solution to your ROOTS only, making sure you get it all over...especially in the back (this is usually where I miss a bit!). Use up the whole solution...or as much as you can get out by squeezing the bottle. Leave that to develop for 25 minutes, then come back and add a little lukewarm water to your bottle (there should be a little bit of the solution left around the sides), close it back up, put your finger on the tip and shake. This will give you a watery, diluted dye for your ends. 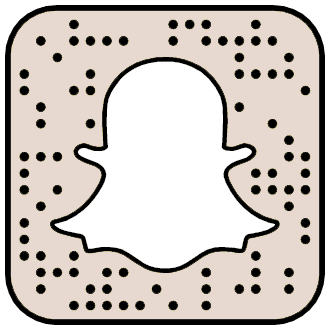 Apply over a bath tub or sink (it's messy!) until all your hair is covered. Once you're out of the shower, I recommend using some kind of after care product. 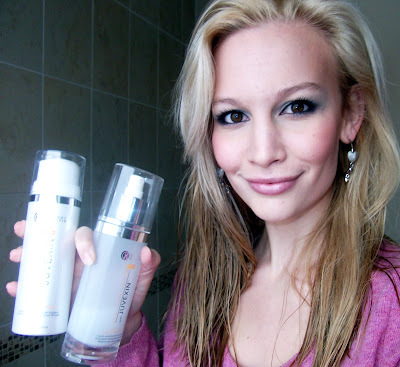 I use Global Keratin leave-in conditioning cream and spray before brushing my hair out. This basically keeps it from getting too damaged, and protects the ends even more. After that, blow-dry and style as usual...et voilà! 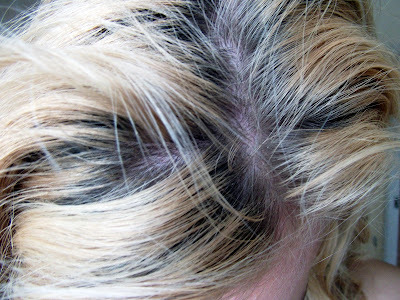 Here's what my roots look like now...just look at the before and after pic!! 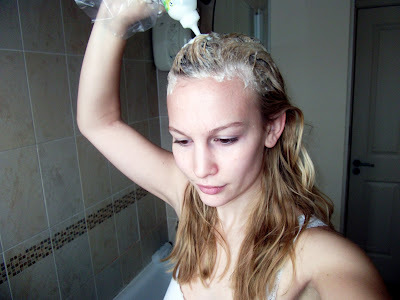 Use a shampoo and conditioner that will maintain your blonde hair...like this one! 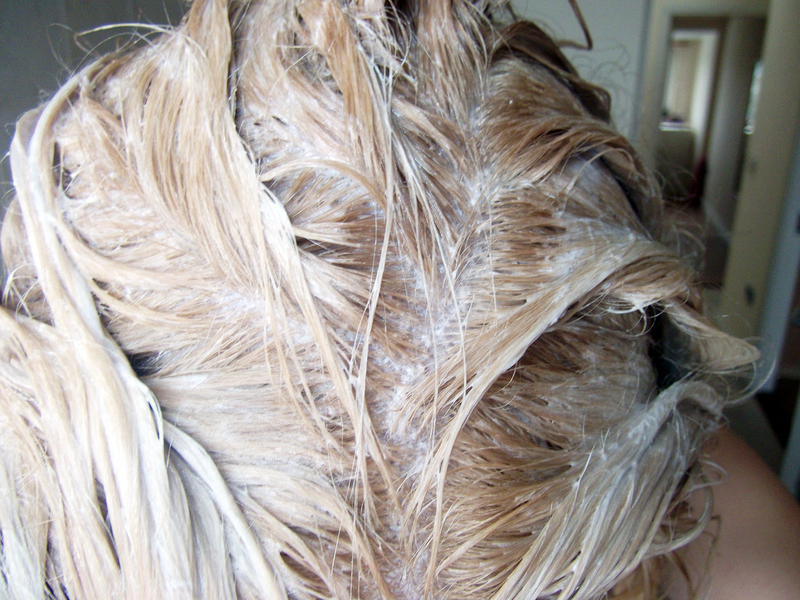 This will keep your hair blonder for longer, and hopefully prevent you from having to dye it too often. 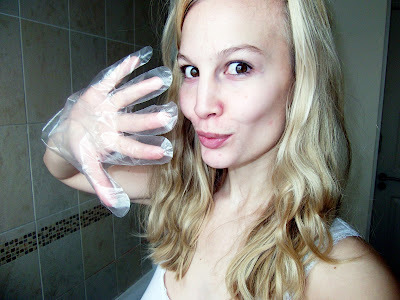 I hope you enjoyed this post, let me know what your hair dying tips are and have a wonderful rest of the weekend! Good post. My hair is pretty much the same as your hair color. I get high lights every 8-12 weeks and it is so expensive :(. I don't think I could do high lights on myself. 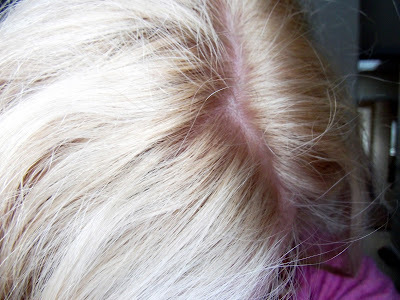 I like that the person just does my roots, none of the color touches the rest of my hair. 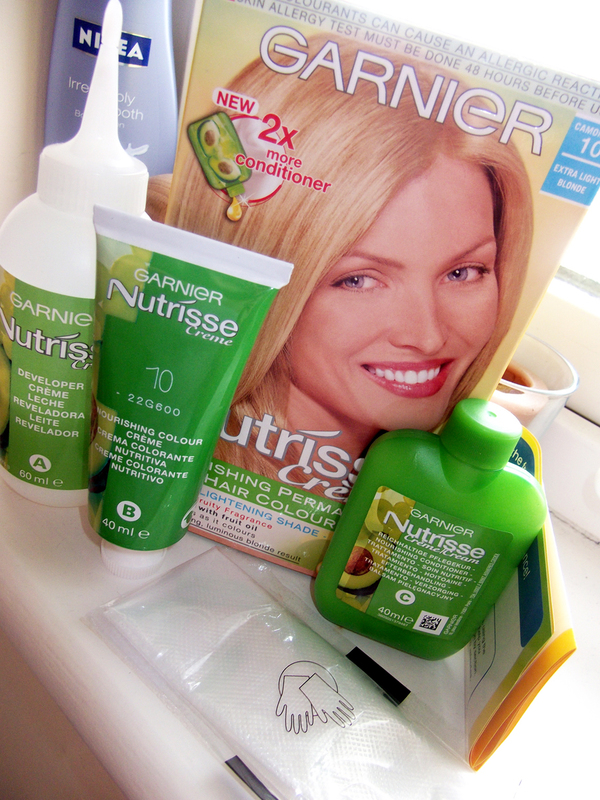 Anyway blondes have to use a lot of deep conditioning treatments I feel and take really good care of their hair. I am in love with Aussie 2 min Miracle. I would put that on damp hair for a good 30=60 min and then take a shower. I also am now using Macadamia Nut Oil (a blend of Moroccan and Macadamia nut oil) daily on my hair and it has made a huge noticeable difference. I also like the Aveda Chamomile shampoo and the Redken Blonde Glam Conditioner. Thanks Anna! This dye works great for my hair since I have the same haircolor as you :)I have saved a lot of money since I started doing it myself! 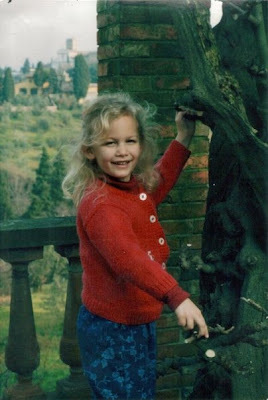 great post!i am blond to. I don't dye my hair so I don't know much about this subject. 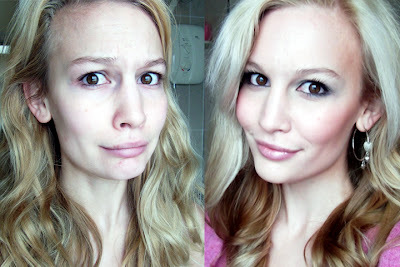 How did you go from your dark hair back to light? Did you have to go to a professional? I also dye my hair at home, but didn't find my ideal shade like you! I love how you explained everything so well, and took pictures, it must have been a lot of work! But your result is really gorgeous btw! 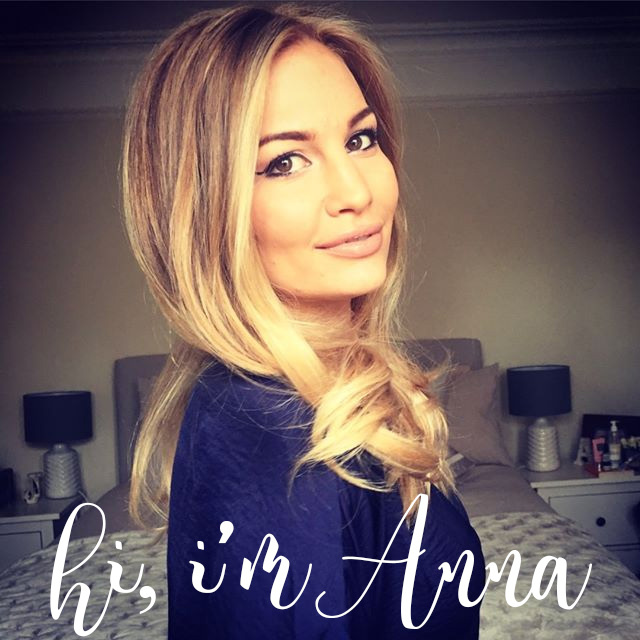 Anna, your blonde hair is really nice but I seriously LOVED you as a redhead! For some reason even though you're a natural blonde, the red suited you so well - and that's rare! perfect timing because I've really been looking for a salon alternative as I'm trying to save on how expensive it is to get my roots done. i'm only 2 shades off- why does it cost $100!!!?! 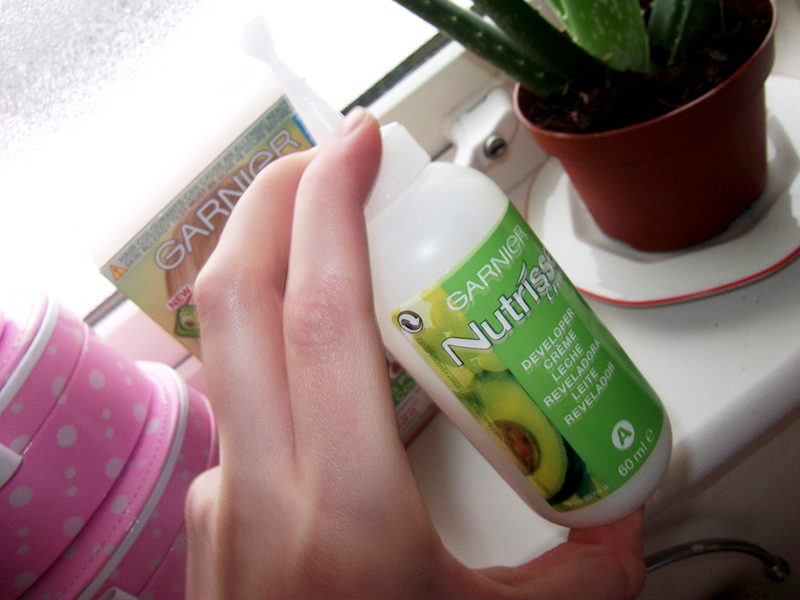 Thank you for introducing this product to me! 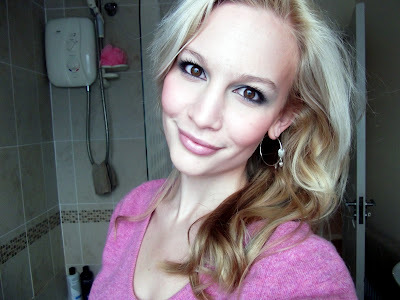 I have been trying to go back to blonde with various brands but it kept going orange as I am darker than you. This time I left it to develop way longer than suggested and used a toner afterwards and it is so much better. I love your hair tutorials! I'm a huge longtime follower on youtube. I just googled 'blonde on a budget' and this post was one of the first that came up. I wonder do you still DIY your hair. It looks really great on videos and I'm wondering if you still do it yourself with drugstore dye.